I’ve had so many people ask me about my hair after doing whole brain radiation. Hair is so important to most people, it defines you. I have always had a head full of blonde curly hair. Those days are gone! I started losing my hair the second week of WBR. Instead of waiting for it to fall out I shaved my head. About three months after WBR it started growing back. I was so excited!! About six months later I realized it wasn’t going to come back completely. I had what I called a “nohawk”. My hair grew in on the sides and on the back of my head but not on the top. My oncology radiologist said the radiation skims the top of the head and it may not grow back there. A year later and no hair is growing on top of my head. This is what it looks like……. I don’t think it’s ever going to grow back on top. I just keep shaving my head. I honestly don’t mind being bald. That’s the least of my worries! 95% of the time I walk around bald and happy to be alive! I have beautiful wigs and I wear them if I go somewhere special with my Javiee, My favorite…. Here’s a picture of my cousin Teressa and I. If you see me out and about it’s usually like this…..bald. I’ve embraced my baldness! That’s my hair story. Thank you guys for all the love you send my way! I love you all!!! Now get out and make some memories! I’m happy to say hello to a new month! March was probably the craziest, busiest, most stressful and most rewarding month I’ve ever had! I flew to Vegas and filmed a television show (and signed a confidentuality agreement). So there are no details about the show that I can share with you. Sorry! I would love to because I think it’s going to be amazing! You guys will just have to wait. It was a fantastatic experience and I met the most wonderful people while doing this project. My Javiee bought me a new wig for the filming and there was a professional makeup artist there so I felt beautiful…..here’s a picture! I have to include a picture with my Vegas partner in crime, Marilyn. Ok, so no real crimes were committed, but we had a fabulous time together! Thank you Marilyn for taking this journey with me! Two days before I left for Vegas my husband was on a plane to Mexico. This was the stressful part of my month. I share my family and my life with cancer with you all. There are somethings that I haven’t shared with many people. One of these things is that my sweet Javiee was illegal. I mean walked across the desert for 6 days illegal. He told me before we even started dating. Honestly, I didn’t care. I knew it wouldn’t be easy. I also knew it would be worth it. It’s been eleven years and I wouldn’t trade a minute of our time together for the biggest house or the fanciest car on the block. He has loved me during the good times and held me up during the bad. He has worked so hard to help T.J. become the confident young man that he is now. He is a grandpa to Jax and will always be there for Kori and Kristen. We are all blessed to have him in our lives. Sending him to Mexico for his immigration appointment was so stressful. If denied he was facing a ten year bar from returning. Talk about nerve wracking! He was approved and is home now ( the process took four years). He’s legal, has a social security number and a drivers license. Talk about life changing. Freedom (don’t take yours for granted)! I have watched my Javiee be taken advantage of SO many times because he was illegal. That won’t happen anymore. Now is his time to get what he deserves and I’m so happy for him! And us! Here’s the sad part. If I wasn’t diagnosed with cancer he would have never been approved. He was approved because of a hardship waiver. I know most people think you can apply and go through a process and become legal if your married to a citizen. It doesn’t work that way if your here from Mexico illegally. Now if your a citizen and want a Russian bride you can just go apply for a K-1 Visa and that’s that. Ridiculous if you ask me. The month ended with a baby shower, a week with our precious little Jaxon, a new car (new to us) and an all day wrestling tournament with T.J.
A few pictures from the baby shower. Kori and Emily will be having a little girl soon! Pictures from our week with Jax. He is the sweetest. I love spending time with him and I love hearing him say glamma! Here’s a picture from the wrestling tournament. It was T.J.’s first time wrestling Greco Roman and freestyle. He came home happy with two third place medals. I have to thank two beautiful souls before I end this post Linda and Windy. Remember I told you my doctor wanted me to stop driving our 5 speed because it was aggravating the pain in my hip and spine. We had planned on buying a new car when Javiee came back from Mexico and went back to work. The immigration process took what money we had saved so we decided to wait until we could save money for a decent used car. Having a car payment is not a good thing when you have cancer because you never know what medicines or treatments won’t be covered by your insurance the next month. I lost the last new car we had because I had to pay for my first surgery and was out of work. I thought it was better to just keep driving the 5 speed for a while. Well, thanks to Linda and Windy I’m no longer driving that 5 speed. They gave us a car this week. How do you say thank you to such a kind gesture? They are special ladies and we are so thankful to them. We love you Linda and Windy! I wish I had a picture of them to share! What a month, right? Six months ago I was doing WBR and a new chemo. I was so sick. It was the first time I had ever felt like it may be the end of my life here. I remember a consult with my doctor about changing my meds. My mom was there and she knew how sick I was. She asked me if I really wanted to start a new medication and add more to what I was already dealing with. I would do anything for more time/memories with my family. I did start the new treatment regimen and I’m so glad I did. One new medicine can change so much. Look at the month I’ve had! I would have missed this! 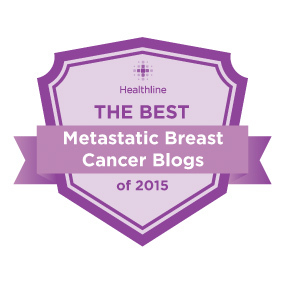 Donating to research is so important to those of us living with Metastatic Breast Cancer. 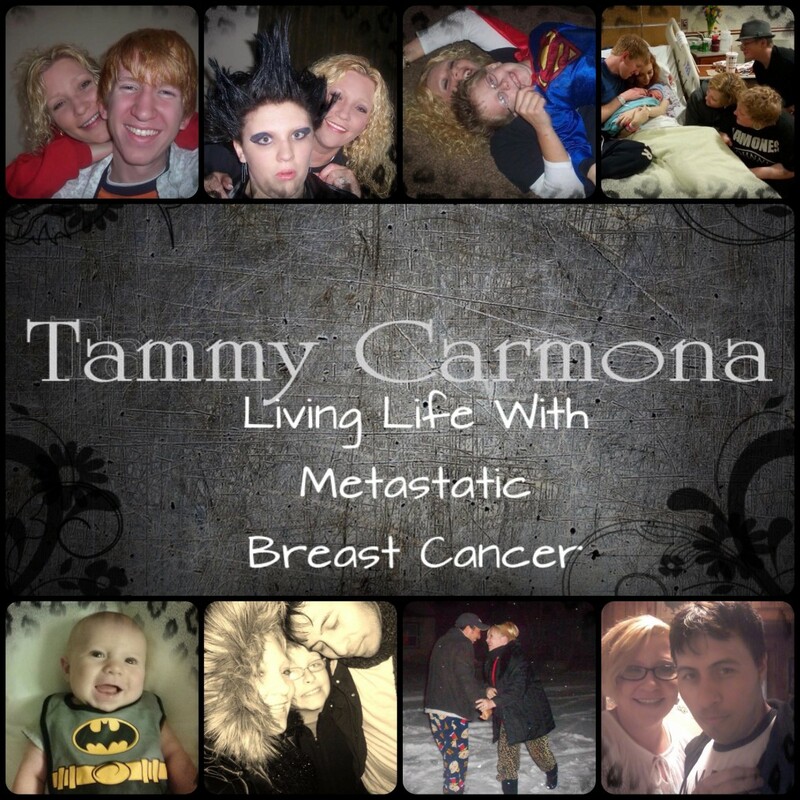 Please support Metavivor. 100% of your donation will go to research. I Love you guys! Thank you for sharing my life with me. I know there will be the random person that comes across my blog with opinions about immigration and such. It’s fine, your comments are welcome. One thing that cancer has changed in me is that I don’t mind criticism. I don’t need approval. Think about your life. Wouldn’t it be nice to be free, not to worry about what everyone else thinks. Life is short do what makes you happy and make those memories!!! Sending love to you all! 90% of all cancer deaths in the United States are caused by metastasis–the spread of cancer through the body. But the current Cancer Moonshot goals don’t include research into the causes of and treatment of metastasis. 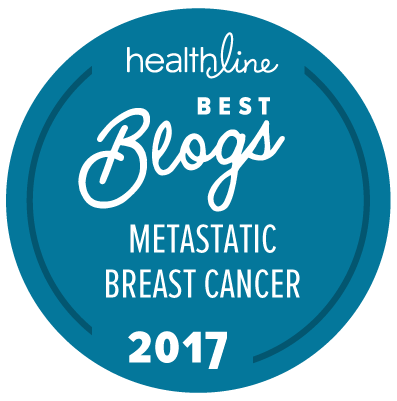 Metastatic research has been chronically underfunded, resulting in a continuing lack of understanding of metastasis and how to stop it. Although many of the moonshot goals may help metastatic patients, understanding the metastatic process is vital to saving lives and turning terminal cancers into chronic diseases. Making metastasis research a specific goal of the Moonshot will bring important attention and resources to bear on solving the mysteries of metastasis and providing better treatments for metastatic patients.